More Captain Saru please. 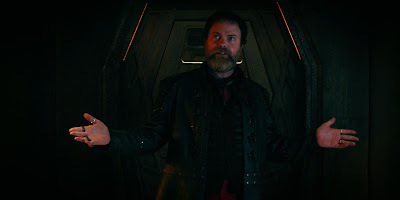 This is my main thought by the end of Discovery's fifth episode, Choose Your Pain. 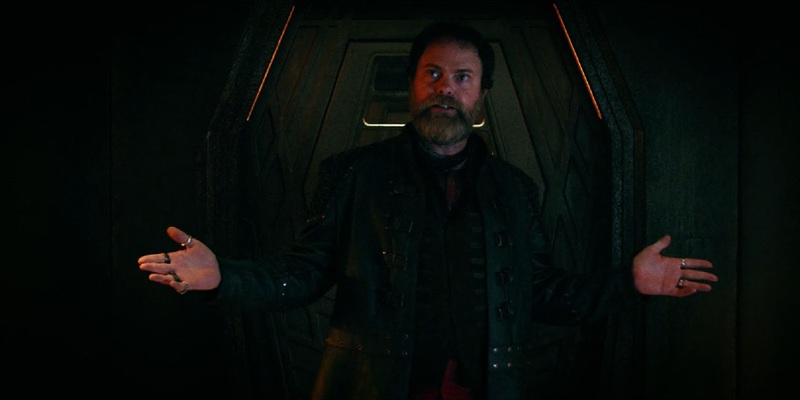 Lot of plot points progress, and perhaps that is where I am struggling most so far with Discovery; it is so serialised I don't think I could so far point at one episode in particular and go that was great, just as an episode. But as each character arc unfolds, and as we learn ever more, the series becomes that bit more satisfying, and spurs us on to the next set of reveals - The series as a whole is proving great indeed. More thoughts on all that below, spoiler laden as ever. I'm still finding Burnham frustratingly ambiguous. But darn it I just love Saru. Having him thrust into command here gave him a fantastic opportunity to challenge his own fears, and very pleasingly surpass some of his fretful characterisation so far to be truly commanding. If anything at times he was so laser focused on the mission at hand that he forgot to apply some of the principles you'd expect of a Starfleet officer. So if there's one thing I regret it's that Lorca managed to escape so darned quickly, meaning Saru will be back to first officer next time. Heck I was pretty surprised Lorca did get out at all given the series's rate of fatalities so far. At the very least I expected him to come back blinded, after all that bright-light torture. But nope. 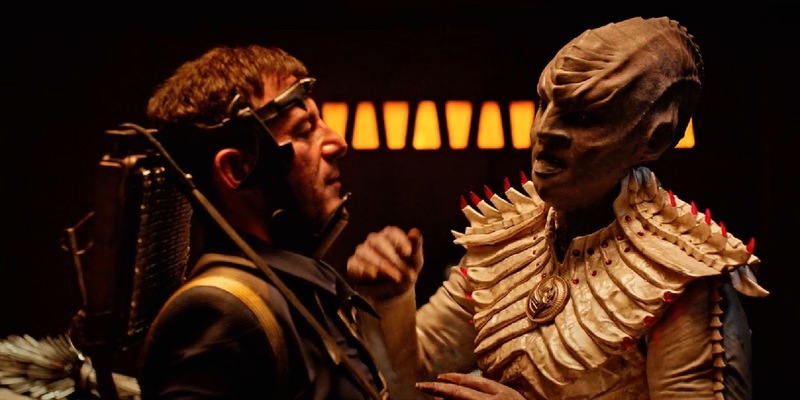 I suppose what was most satisfying in this episode was playing once more on that sibling rivalry between Burnham and Saru - With Captain Georgiou for the second episode in the row stealing the show at the climax; this time without even being there! After the last episode's cruel play on Saru by Burnham, it was good to see her really starting to understand him here. This relationship continues to be the highlight of the show. 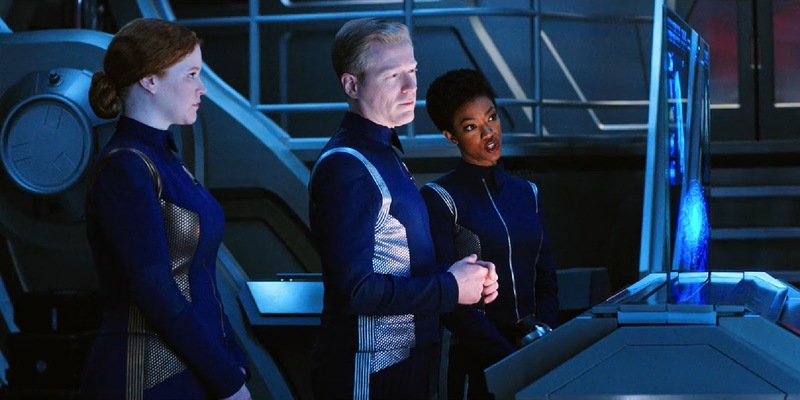 Not far behind though is the engineering trio of Stamets, Tilly, and Burnham. I found the waterfall of technobabble in this episode weirdly pleasing; so very Star Treky! As too was the eventually freeing of the tardigrade. Got to wonder what Starfleet will make of that though, given they've already been hunting far and wide for more of the poor things to enslave. After the Klingon's returned so strongly last episode I was a little disappointed that they were played just as the bad guys this time. I really like having their point of view, so I hope that structure to episodes will return soon. What we did see of the Klingons raises a lot questions. 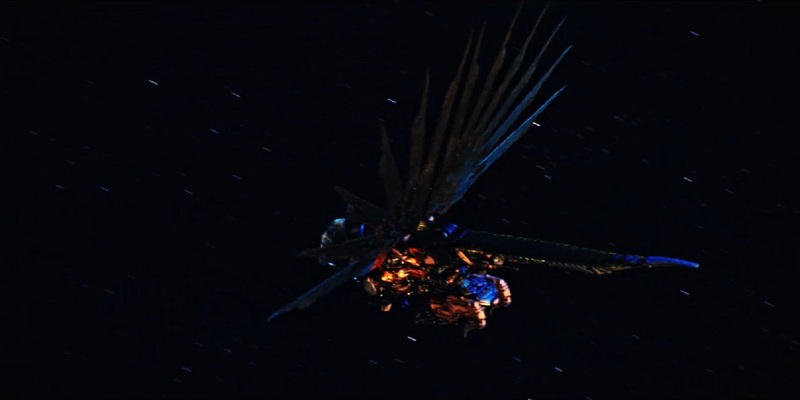 L'Rell only got away from the sarcophagus ship a month prior, but has been torturing Tyler for seven months, since the start of the series. Hmm. Certainly lends weight to the intriguing theory going around that Tyler is in fact an altered version of the notably absent Voq. I did really enjoy L'Rell little exchange with Lorca, especially how pointing out her English is good really highlighted the unusual accent Mary Chieffo used for this scene. The fact that relationship didn't last longer is another reason I'd quite like Lorca to have remained a prisoner for longer. On the design side of things, it's nice to continue to see a variety of Klingon looks. 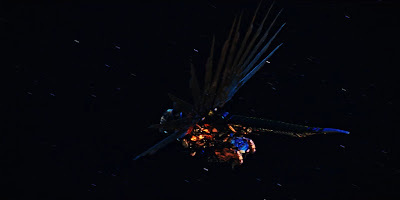 And we also got to meet the new Klingon raiders, a whole new feel for Klingon ships which seems to be part dragon fly and part peacock. I kind of like them! Not so keen on the larger Klingon ship being named a D7; it's easy enough to hand wave away, if you imagine Starfleet name a particular size range of Klingon ships D7s or something. But why bother to name drop something clearly so different; seems like fan-service gone wrong. I love the new Mudd. Rainn Wilson perfectly captured the key points of Roger C. Carmel's distinctive original character, while adding an extra layer of menace to the already deceptive character. 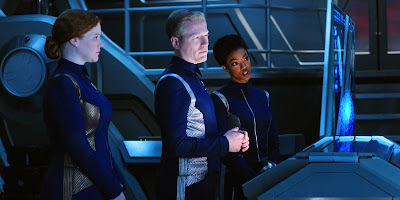 I always enjoy a little critique of the Federation, if only to keep our heroes on their toes; having that delivered by Harry Mudd of all people was a surprise, but his thoughts on starfleet's colonialism and militarism were a welcome point of thought. The series has already highlighted how the conflict can be viewed from both sides in terms of the fighters. Mudd's characterisation as being a victim as one of the "little people" gives us an interesting third point of view I hope will continue to be explored - It was to some extent already when we saw the victims of war during the Klingon attack on Corvan II last episode. I wonder if we might also see the Klingon civilian point of view later? As the tardigrade zaps away to freedom the problems of the spore drive unfold a new, in Stamets mirror. What does his weird reflection mean?? The rate of mysteries being set up and answered seems to come quite quickly so far in the series, so I'm sure we'll find out very soon. 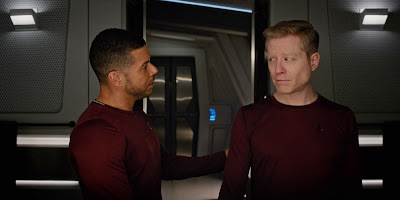 Aside from the mirror, hat tip to Discovery for making that pleasant relationship scene exactly as normal and touching as it should be. I wanted more. More Klingons. Lorca in captivity for longer. 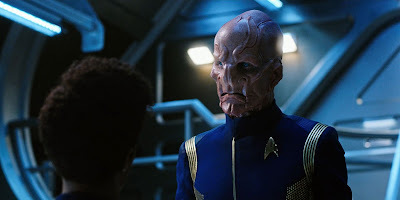 More Captain Saru. More Mudd. More of all the great relationships. Some of those things will simply continue as we go into the next episodes. Others have served their purpose and I'm sure opened doors to more things I'll be wanting more of later. Discovery continues to be thoroughly enjoyable ride, leaving me hungry every week for what comes next.